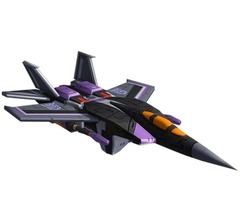 Skywarp is a textbook bully - sneaky, cruel but ultimately cowardly. Strike while the enemy isn't looking is his credo, and that doesn't just extend to Autobots. 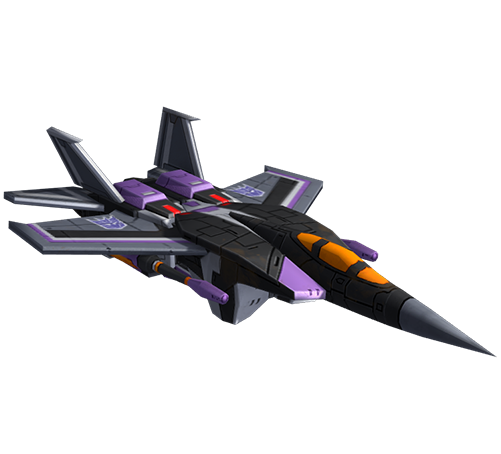 He'll happily play 'pranks' on his fellow Decepticons, suddenly warping in and leaving them by far the worse for wear. 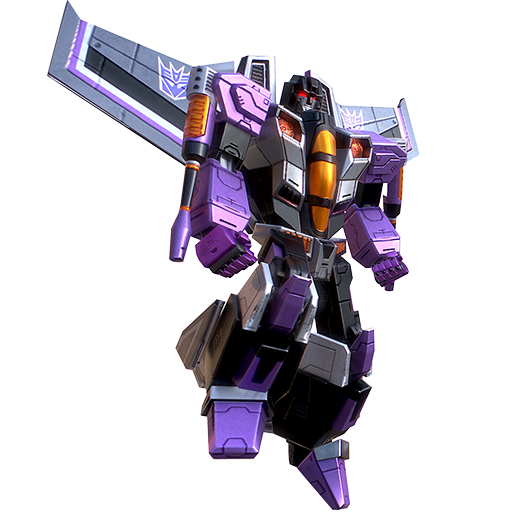 While not exactly the sharpest tool in the kit, self-preservation runs deep in Skywarp, and his tactics tend to be hit and run. Acid Bombs - Drop 6 acid bombs on a target building each dealing large damage.